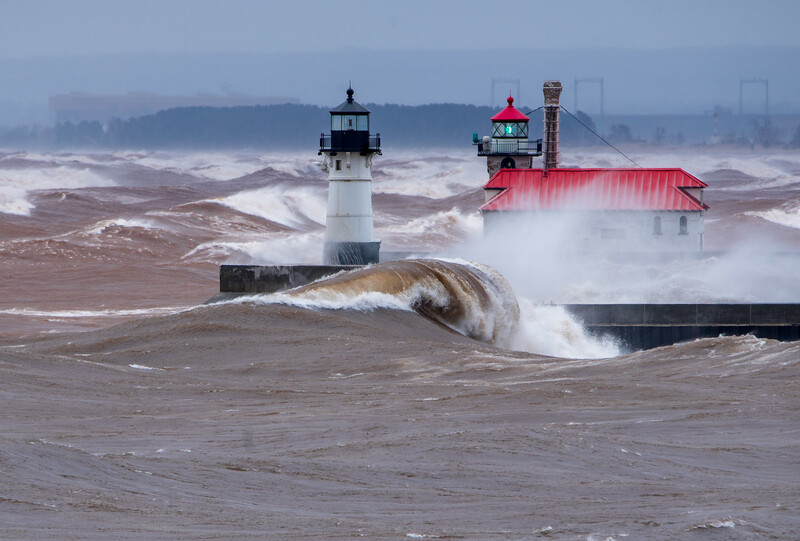 I often wonder how the 2 lighthouses survive the beating they get from Lake Superior. They must have really been made well. Thank you for the pictures. You do a great job! Thanks for the pictures. And the cams. Been watching all day!! Spring, Spring, beautiful Spring! Great pictues. What was the temp around the time you took these pictures? Powerful. Makes me feel so small. Beautiful shots of natures power, hope you stayed dry to get those shots.